Here you will find all the guru tips to optimize your images before you are going to uploading them into your post. We are guaranteed once you follow all these guru tips your post will must touch the height of success. Lets go & learn some useful tips. This is the first an important step towards optimize image for your post. Always use relevant image which make relation with your post content if your post is about SEO then try to add SEO views layout Image. Do not insert an image having no relation with post content. You see that in this post we have placed an SEO views image. You can add more better than this one. So by putting a relevant images we can easily get massive traffics to that post from Google Search Image. This is the first step to optimize your image. We are familiar that a single image can be converted into JPG, PNG and GIF, formatted. So what do you think which one will be the best to use them. According PBT we are always use PNG format format because it get good comparability with web pages. I photo or image with PNG format maintain high quality. So it will be better to use your Main or To post image with PNG format. Why We say that Use PNG Only for Main Image ? Jpg is the second good quality format for web browser. According to PBT we would recommended to use your ordinary images with JPG format inside the post. by ordinary images we means all that other images except your post main image. because by doing this it will not compel your blog on loading time. A jpg file is much lighter then png. if you keep all of your images with PNG format inside the post then it will increase your blog leading time. if you ever try to download image from internet and find out its name then most of the time it will look like, image2332.jpg or photo123.png. We strongly recommended do not use the images with such names and do not use them directly in your post because it will become difficult to read by robot and it will give nonsense. Now to make it perfect for robots. We will must try to insert some reach keywords instead of names123.jpg. Simple click rename and give SEO friendly name according to your post title. in this post we are using *image-optimization-tips* So by doing this it will become easier to understand by robots. Hyphen is the best practice to use it in image name. Never use underscore ( _ ) or blank space because it could become difficult for robots to read it easily. How ?. If you give a name with spaces like this ( top seo tips for image optimization) then it will automatically converted and will fill all thats blank space with this tag '%20' ( top'%20'seo'%20'tips ). Also never use _ underscore, + etc.. Always make a habit whenever goes to rename the image use hyphen ( - ) respectively after each words like this ( image-optimization-tips-for-better-seo ). Go to file menu and click on save for web. It will reduce the file size and will keep the image quality. Do not compress if the image is too small or have been created by you. Always try to compress downloaded image so that it could not easily detect by crawler that this image has already been indexed. Always give proper dimension to your image used in your post.Try to keep your images dimension same in every post. By giving same width and height to your image every time then all of your post will be looked same and have perfect map on blog home page. Robot will also make a string and will be easier to give same proper dimention to your main post image. If you ever analyzed we always insert image by adding this dimension. Note: We are giving these value inside adobe-photoshop you should must customize your image by giving width=315 & height=260. Do not try to make your image small by giving small value. Let me explain. Remember: If you have uploaded an image to your post which have width=650 & height=450 then do not make it small by using HTML tag to make it smaller because it will same for robot and will have same loading time which was on its original size. do not use Html for reduce its size make the image smaller before uploading to your post. These tags summarize your image for robots what about your image is ?. These tags work as description and make the image recognizable by robot to crawl it very well. Robot does not read image if it has no proper title tag, alt tag and keywords. Friends If you have any question about image optimization then feel free to ask & post your comments on PBT reply will soon back. So this was a little tutorial about how to optimize images for blog post. we hope that this tutorial may help you in increasing your image optimization skills thanks buddies Happy Blogging! Really nice post bro,this is my first visit to your blog its amazing.which format will you recommend most jpg or png? We would recommended png for post main image. and jpg for ordinary images like in the middle of posts. Try to use png format image because it is well known for robots and web pages. thanks for sharing your views. The tip about using hyphen in the image is really unknown to many. I was also unaware of it earlier. I use most of the other tips you have mentioned. Yes Asif Brother many of newbies are unaware of using hyphen - in image name. By using hyphen in image name it becomes easier for robots to crawl it very well. Thanks for commenting with PBT. Hafeez brother thank you so much for this informative post u always made beautiful post for us image optimize is really impotent in search Engines and i think images give us 50% traffic from Search Engines once again thanks for this amazing post keep it up bro.. Yes Rizwan Brother If we optimize image in well format and give proper dimension, add keywords then it should must gives us massive traffics from search engine. Thanks for sharing your views here on PBT. Amazing tips bro. Really this is something new to me. keep it up man. Yes Mohammad Yaqoob Bro there is something unique for image optimization. if we customize our post images in well format then it will definitely rank well in search engine result.. Yes bro you are rite. Thanks Dear for your appreciation you always welcome here. see you here. thanks. Best of best Image optimization tips you shared Hafeez bro. I really enjoy reading your article. Please do correct a mistake in below line. And dear I want to ask a question. Why you prefer PNG image more than JPG? As you told PNG images have high quality, bro JPG images can also same quality as I am using JPG format for my post images. I personally like JPG format images for my blog posts. Please share your views on this discussion. Bro you have to agree with me Png has more popularity than Jpg. Because Png is Portable Network Graphic which clearly indicate that png is made for web pages and have good comparability than jpg. We know that jpg has also a high quality but if you compare it with web pages then there will be always 1 step forward png.Most of png file easily get transparent background which i have never tried on jpg which will have this capability or not i do,not know. As i have mentioned in the above paragraph that use png for main image and use jpg for your ordinary images. Hope this will cover your question. Very nice post for to Optimize the Image. I never publish my blog posts without proper optimization. Yeah, it helps to get good SERP. Hope this post would help the newbies to understand about Image optimization. Yes Mis, Nirmala This post is really helpful for newbies because they do not know how to optimize blog post image for search engine. Newbies bloggers could easily finds out here all the tips and tricks about image optimization tips. Thanks Nirmala & hope to see here with my next tutorial. Thanks bro Hafeez for the tutorials. But i always preferred using jpg image format for my posts. I can only use png format for my blog header image. Png images increases the loading time of a blog. Thanks for sharing bro Hafeez and do have a wonderful week. You are right Victors Bro i am totally agree with you always use Png for header image and use jpg for ordinary images used in the middle of post. Many pro bloggers do the mistake that they keep all png images inside the template which could cause, increasing blog loading time. Thanks for sharing your views with PBT loyal readers. wanna see you soon. Good tips bro , image optimization is very useful in serp. i am using this software comfortable. but some days i saw a problem in this webpage. when i am posting a new article my facebook page showing only link do not show any picture. please solve my problem... my picx formate png..
sometime happening due to slow internet connection not big issue. i found that png formate can not showing the picx of fanpage. Thanks Umesh Bro this is really all the pro image optimizations tips. 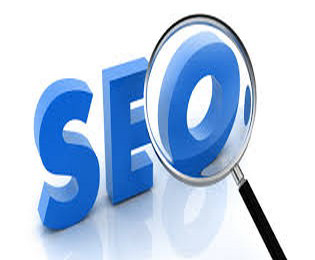 Newbie should must follow all these image optimizations tips for ranking theirs posts well in search engine. Never new about png vs jpg..
For me Image was just an image, but I always made sure I use proper meta data for images, like alt test, title and a proper file name.. I use jpg mainly because I can reduce byte size a lot compare to PNG. I use PNG only there where I have to use a transparent background..
Great Tips!! Thanks for sharing..
thank you for your tips !!! thank you for the tips, Do you know if there is any wordpress plugin which do all these thnks. Yes you can. But please mention this blog.